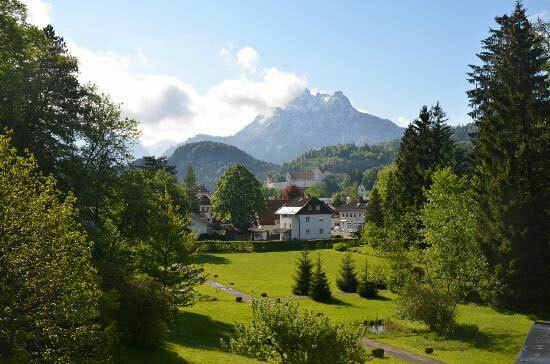 Would you like to explore Füssen, Neuschwantein Castle, Hohenschwangau Castle many lakes, the surroundings of the Austrian border and much more in one day? We offer bike rental for only 10 €/day!!! for group special price on request! 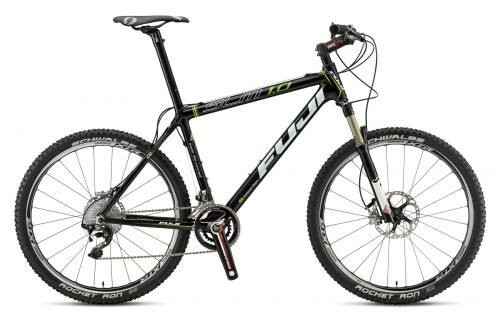 Don't hesitate, because our bikes are limited!! Book your bike with us in advance, please fill the query form and send it to us and we will reply to you as soon as possible! 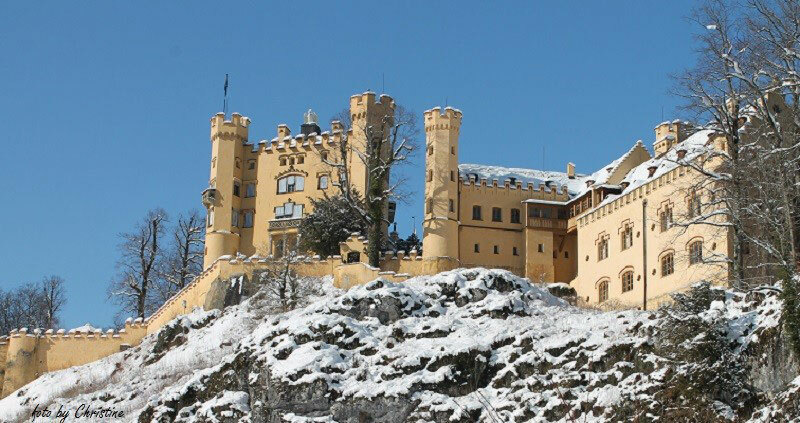 Você gostaria de explorar Füssen, os castelos de Neuschwanstein, Hohenschwangau, muitos lagos, a fronteira com a Áustria e muito mais em um dia? Nós oferecemos aluguel de bicicleta por apenas 10€ por dia! Nao perca tempo, possuímos um número limitado de bicicletas. Reserve a sua com antecedência, por favor preencha o formulário de requerimento e nos envie que responderemos o mais rápido possível. You want to join this cycling route, but haven't got suitable bikes? Don't worry!!! We offer the following three routes' intimate service with "City Shuttle combined Bike Rental". The only condition is the starting point or end point must be at Füssen, cuz you absolutely can't miss this beautiful town! Still interested? Please contact with us by E-mail. 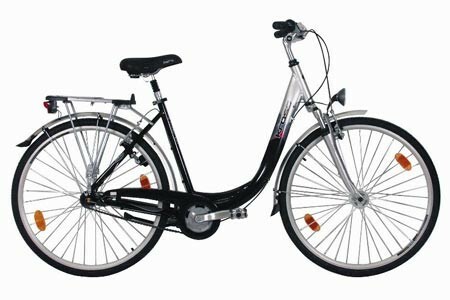 Você quer percorrer a trilha de bicicleta, mas nao possui a ideal? Nao se preocupe! Nós oferecemos as seguintes trilhas guiadas com "City Shuttle Combined Bike Rental". A única condicao é que o ponto de partida ou chegada seja Füssen, pois você precisa ver essa cidade linda! Scenery and culture make this bike tour along Main, Tauber, Wörnitz and Lech become one of the most popular bicycle tours in Germany. starts in the episcopal city of Würzburg, to offer not only classified as World Heritage residence the magnificent old town, many churches and much more. After you reach Werbach, very beautiful lovely Tauber valley and ride the gentle valley uphill, you find the fantastic cities like Tauberbischofsheim, Lauda-Königshofen, Bad Mergentheim, Weikersheim with its famous castle, Rottingen and Creglingen until finally the jewel Rothenburg ob der Tauber, the lovely old medieval town is a real dream. About Schillingsfuerst (castle), which is already on the Franconia, you get to wet cheeks that can culturally come up with an old monastery and a picturesque Old Town. Then you reach Dinkelsbuhl, whose downtown is to Rothenburgs almost equivalent. After a sightseeing tour you will cross some small hills to reach the natural monument "Ries". Nördlingen city is also very beautiful and the view from the tower makes the circular crater which results from an earlier meteor impact impressive. Even the view from the tower of the Old Town is unforgettable. In Harburg, you can visit the oldest German castle. Here you reach the Wörnitz and cycle along the meandering river in the town of Donauwörth. 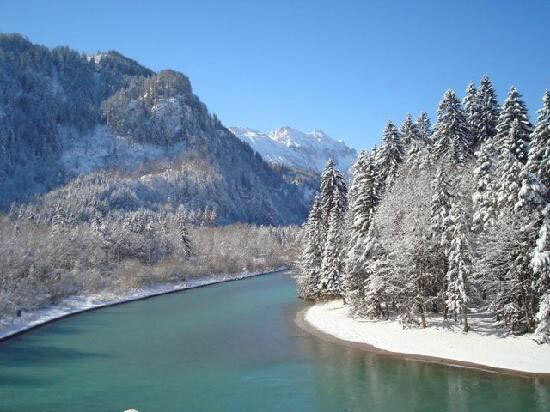 Here you cross the Danube cycle path , then cycle through the interwoven of monasteries flat and broad Lech Valley and head for the city of Augsburg too. Again, there is much to see: Fuggerstadt Palace, Fuggerei Cathedral and much more. You will cycle along lakes now for rococo church in Pittriching. Along the Lech you can reach the historic old town of Landsberg am Lech. 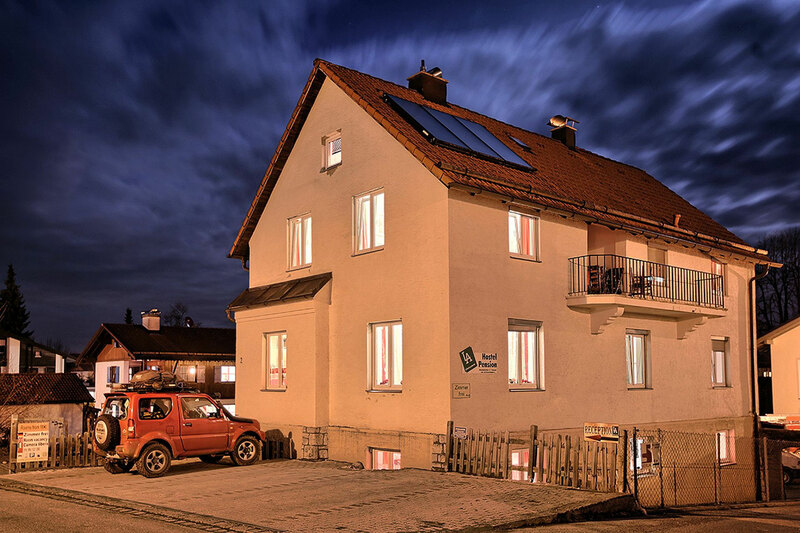 Slowly it goes towards the Alpine foothills and you can enjoy the fabulous view of the Alps. Now you cycle through the so-called Pfaff angle, an area full of monasteries, Baroque and Rococo churches. Schongau with its old town is a stopover on the way to Steingaden with its famous cathedral and the world-famous Wies Church. 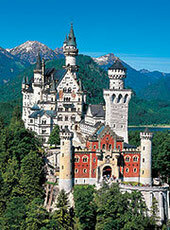 The dreamlike castles then wait, Schwangau, situated with a beautiful view on the edge of the Alps. O cenário e a cultura fazem essa longa rota por Main, Tauber, Wörnitz e Lech uma das rotas de bicicleta mais populares da Alemanha. Comeca na cidade de Würzburg e oferece muito mais que essa cidade considerada World Heritage. Após você chegar em Werbach, o adorável vale Tauber e subir a colina, você encontra as cidades fantásticas de Tauberbischofshein, Lauda-Königshofen, Bad Mergentheim, Weikersheim com seu famoso castelo, Rottingen e Creglingen até por fim a jóia Rothenburg ob der Tauber, a antiga cidade medieval é um sonho. Perto do Castele Schillingsfuerst, que já fica na Franconia, você chega no antigo monastério e uma Cidade Velha pitoresca. Daí você chega em Dinkelsbuhl, cujo centro é quase equivalente ao de Rothenburg. Após observar a cidade você passa por algumas colinas pequenas até o monumento natural "Ries". A cidade de Nördlingen é também muito bonita e a vista da torre faz a cratera circular resultante de um impacto de meteoro bem impressiva. Até a vista da torre da Cidade Velha é inesquecível. Em Harburg, você pode visitar o castelo alemao mais antigo. Aqui você chega no Wörnitz e passa pelo rio na cidade de Donauwörth. Aqui você atravessa a ciclovia Danúbio, e entao passa pela entrelacada de mosteiros plana e ampla Lech Vale e segue para a cidade de Augsburg também. Novamente, há muito para ser visto: Palácio Fuggerstadt, Catedral Fuggerei entre outros. Você entao segue por lagos até a igreja rococó em Pittriching. Ao longo do Lech, pode chegar ao centro histórico da cidade de Landsberg am Lech. Lentamente, o caminho vai para o sopé dos Alpes e você pode desfrutar de uma vista fabulosa. Agora você percorrer o chamado ângulo de Pfaff, uma área cheia de mosteiros, igrejas barrocas e rococó. Schongau com sua cidade velha é uma parada no caminho para Steingaden com a sua famosa catedral e da Igreja Wies, mundialmente famosa. Os castelos de sonho entao esperam, Schwangau, com uma bela vista sobre a borda dos Alpes. The " Via Claudia Augusta "is an old Roman road from the Danube to the Adriatic Wörth. Originally it was used for military purposes, but soon it developed as a major trade route. There are currently only a few Wegsteine ​​and parts of the original route in the rock exists, but researchers still find new information about the course. has justified the construction of Drusus, the son of Emperor Augustus, shortly before the birth of Christ. It was not until 60 years later, the road was expanded with bilateral drainage ditches in the Roman tradition. Of Germany, the route starts in Donauwörth and performs similar to the "Romantic Road" south towards Ausburg. overland mountain bike trail reaches the remarkable feet. Now through the mountains it's all about Reutte for remote pass. Through the wonderful world of the route now reaches Imst, Prutz and Puntsch happens. To Nauders - here Wegstein was also found - the bike path crosses the highest point on the Reschenpass. Reschensee on over there now goes along the Adige over Laas to Merano. Here the city is really worth a visit. Culture is the next stop in Bolzano. Always further along the path of the Adige Valley finally reached Trento with its extremely remarkable inner city and the Romanesque Cathedral. According to Trento path splits in two versions: one leads to Ostiglia, a port on the river Po, the second path leads to the west and reached Feltre, an important city of antiquity. Now continue through the beautiful countryside of the Veneto go to Treviso. Hardly any other city is so idolized as Venice. Doubt that the truly unique location in the Laguna Veneta help. There's no roads, only canals. Most houses accessible only by water, because the city is on 118 islands. , the houses themselves are available on hundreds of thousands of oak logs that were driven into the soft ground of the lagoon to create a secure building. example, there are in Venice instead of streets 177 channels are crossed over 400 bridges. A labyrinth for visitors. Houses are often true palaces, usually four or five stories high and date mostly from the Middle Ages. runs between them and the narrow streets, in some places only a meter wide. Places, there is usually near the numerous churches. Coronation however, is the Piazza San Marco with the Basilica San Marco extremely interesting. This fantastic tour is called Lake Koenigssee-and-bike trail starts at Lake Constance (400 meters above sea level) before the scenery of the Allgäu mountains. 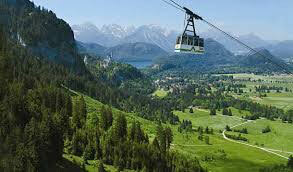 Through small valleys, it scales the heights of the Allgäu and first reached Oberstaufen and the alp lake. using herrrlichem views of the Alps you cycle through a dreamlike landscape. Via the Hopfensee the tour feet reached on Forgensee and united soon with the cycle " Romantic Road " . Afterwards you cycle through the Oberammergau and finally reach Eschenlohe.Now it goes without steep inclines towards the Wettersteingebirge and the bike path reaches Bad Tolz. Here the Bodensee Koenigssee bike path crosses the Isar cycle path . course, you do not touch the famous lakes Tegernsee and Schliersee to you at the Chiemsee on the "salt-Route" branch which, together with the Bodensee-Königseeradweg reached Berchtesgaden. then the crowning of the King 'tour. On the whole route there are numerous castles, beautiful cities and towns and an unforgettable landscape.